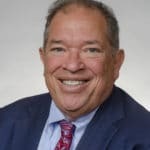 Dr. Charles Steinberg joined the Pawutcket Red Sox as President in 2015 after many years as Executive Vice President of the Boston Red Sox. Working with his friend and mentor, PawSox Chairman Larry Lucchino, nearly all of their careers, Steinberg, known as “Dr. Charles”, spent 11 seasons with the Red Sox (2002 through 2007 and 2012 through 2016), but also two with the Los Angeles Dodgers as Chief Marketing Officer and two with Commissioner Selig as Senior Advisor for Public Affairs. Each of the four major league clubs he worked with – Baltimore Orioles, San Diego Padres, Los Angeles Dodgers, and Boston Red Sox – established attendance records in his tenure, and with each club, he created innovative ballpark entertainment and community initiatives. Among his memorable ceremonies was the Fenway Park event following the Boston Marathon tragedy in which David Ortiz made his unforgettable-and unrepeatable-speech. Dr. Charles is also the Director of Sports Communications at Emerson College, and he wrote the theme songs for Wally the Green Monster and the PawSox. As President of the Pawtucket Red Sox, Dr. Charles was instrumental in the effort leading to the team’s decision to relocate to Worcester. Read The Boston Globe article covering Dr. Charles Steinberg’s remarks here (scroll down to “Behind the Deal that Will Bring the PawSox to Worcester”). Read the 2018 Annual Review here. Read the annual meeting press release here. Read the holiday lunch press release here. Please note this event is for members and invited guests.